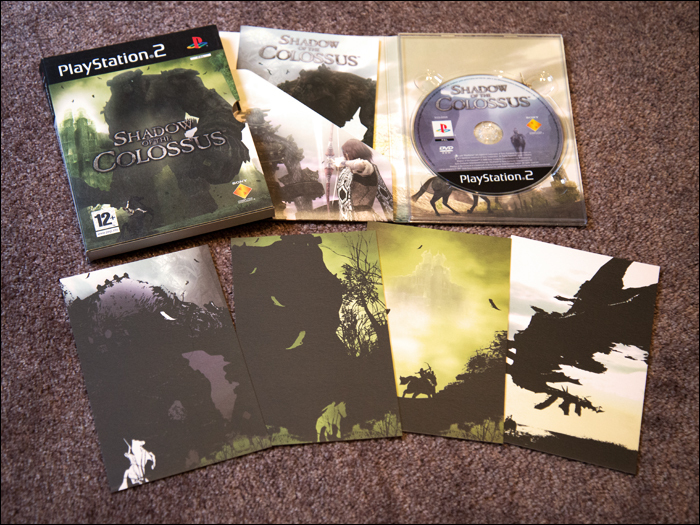 Shadow of the Colossus, the spiritual successor to ICO, was released in Europe in 2006. 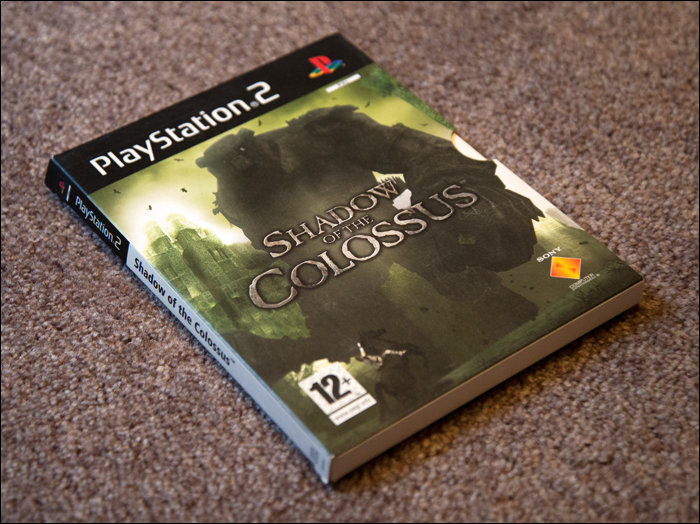 It as one of the final big games on PlayStation 2, and also one of the best according to many. The game received wide critical acclaim, and the mechanic of having to climb bosses in search of their weak spot would appear in many games afterwards. The game was rereleased in 2011 together with ICO in The ICO and Shadow of the Colossus Collection on PlayStation 3. 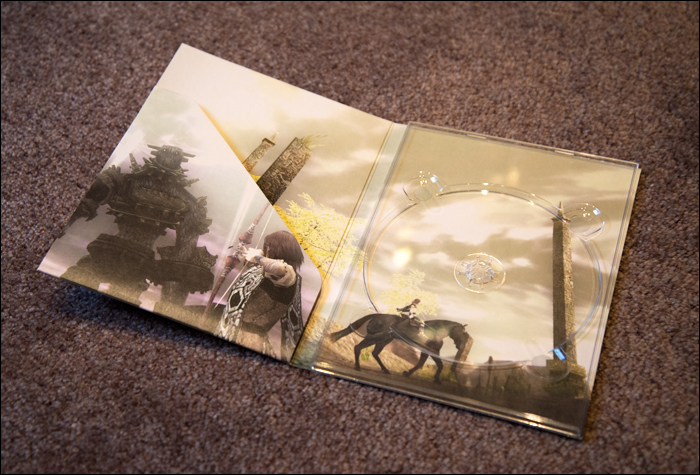 Like ICO, the game came in a nice paper box, with artworks printed on all sides, and with a bunch of art cards. It’s a modest collector’s edition, but also a very nice one. It consists of an outer sleeve, with a fold out box on the inside. As is the case with ICO, the prints on this box are ingame screenshots from the game. 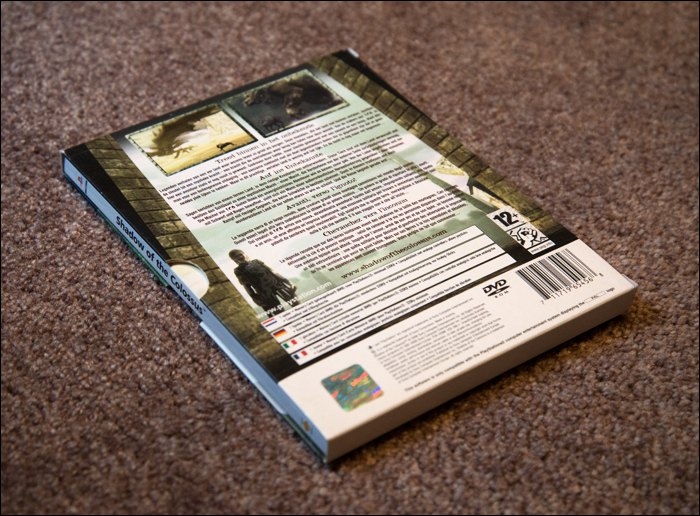 Both the front (using a see through disc holder) and the back are decorated with scenes from the game. 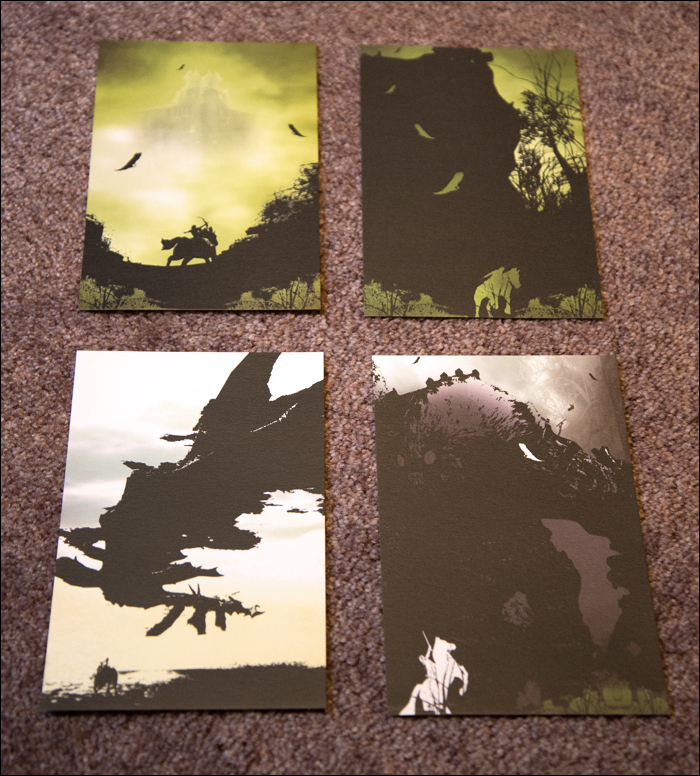 Unlike ICO’s, the four art cards that come with this version do not contain prints of ingame screens, but of drawings with a distinct, high contrast style. 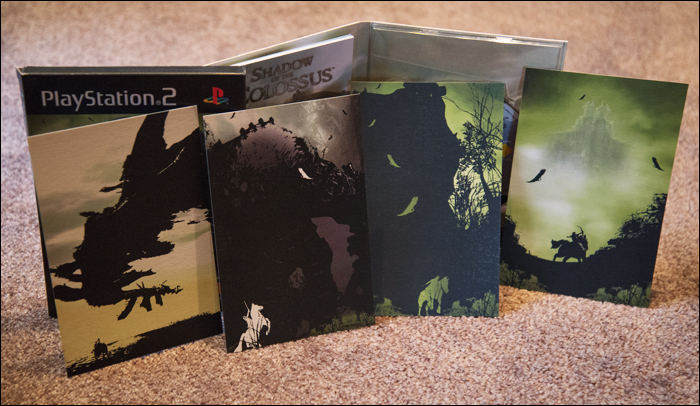 Shadow of the Colossus was a great game, and this edition is probably the best looking version to have on your shelf. It just looks classy and elegant. 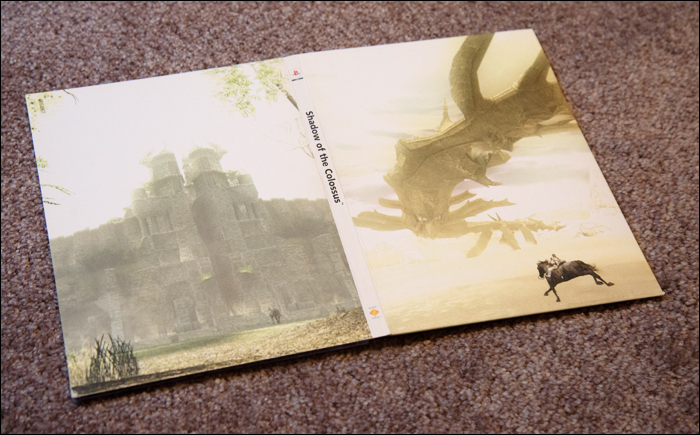 Since it uses the same presentation as ICO, these two editions really feel as a set, where both complement each other. A very nice edition of a great game.